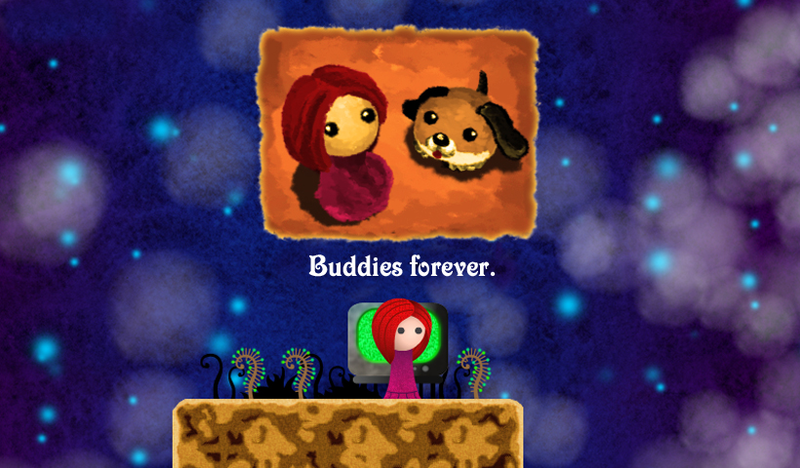 In Dream Tale: The Golden Keys you must help Julia find her lost dog, Fifo. Join her as she searches through 4 magical worlds in this classic platform game. Use amazing powers given by stars to avoid different poisonous creatures located in strategic and challenging places. Find the 19 golden keys and unlock the final mystery on this hard and memorable journey. This game started as a game design task at Utrecht University, then in became "Agujeros" a game with 5 levels that got the first publication of Green Lava Studios in the local news. After that, the team decided to make a complete game out of this concept and make it a commercial game. The new game is called "Dream Tale: The Golden Keys". This game was the first international experience of Green Lava Studios as game developers. "I like the game's style -- the audio is particularly nice!" "Well fine ingredients that make the crossing of traditional obstacles and traps more pleasant…"
"[Spanish] ...son los padres de esta tecnológica criatura..."